Hippity Hoppity . . . Easter&apos;s on its way! 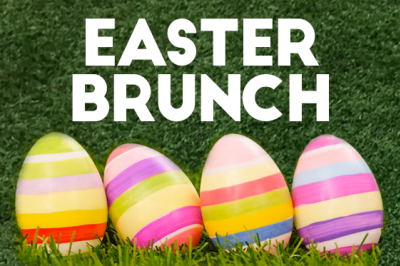 Annabelle’s Arizona Golf Resort (Sunday, April 1 10 am - 4 pm): If seeing the Easter bunny doesn’t excite you then this delicious brunch spread will! For $39.99 per person, you can indulge in an omelet bar, benedict station, lamb, ham, salmon, mashed potatoes, mac and cheese, chocolate fountain, and many assorted desserts. That’s not all- live music will also be performed for your listening pleasure. 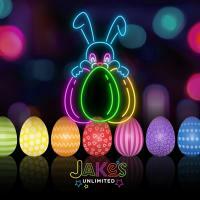 Jake&apos;s Unlimited (Sunday, April 1 8 am - 11 am): Spend Easter Sunday at Jake&apos;s for some family fun! They will be hosting a special breakfast with the Easter bunny followed by a HUGE Easter egg hunt. Inside the eggs are more than just candy- they will be filled with all sorts of prizes from gameplay to a FREE birthday party! 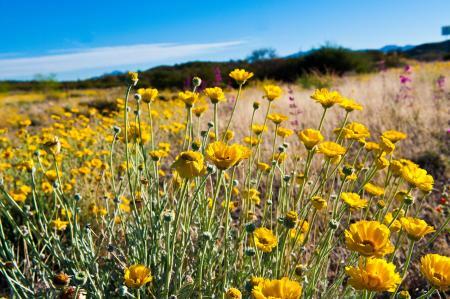 Spring in Queen Creek (Saturday, March 24 9 am - 1 pm): Hop on over to Queen Creek for their annual town Easter Egg hunt! Egg hunts will be running throughout the event (times vary depending on age), hunters must bring their own basket to help collect their eggs. For those youth who are waiting for their time slot- the event will also be accompanied by Play the QC Discovery zone. Downtown Mesa’s Tiny Tots Egg Hunt (Thursday, March 29 11 am - 12:30 pm): Downtown Mesa’s FREE event is geared towards children under 8. Children may collect 1 egg from each participating business on Main Street. (Note: Participating businesses will have an indicator on their door.) The Easter Bunny will also be in attendance and ready for photo ops at the Downtown Mesa Mural on the wall of Le Studio. Golfland Easter Egg Hunt (Friday, March 30 10 am - 1 pm): Golfland is back with their annual egg hunt, containing toys, candy, and other prizes! You must register online to attend this hoppin&apos; event and receive FREE admission with qualifying purchase. Dino Egg Hunt Arizona Museum of Natural History (Friday, March 30 6:30 pm - 8 pm): The annual Dino Egg Hunt is back! Arizona Museum of Natural History will once again be hosting their very popular twist on a traditional egg hunts-Dino Egg Hunt! Easter Egg-citment at Schnepf Farms (Saturday, March 31 8:30am - 4pm): Always quite the “egg”-citment around Schnepf farms Easter celebration where youth are able to hunt for eggs, enjoy unlimited rides, pet animals in the petting zoo and have a chance to meet the Easter Bunny! Prices vary depending on lunch- $25.00 with lunch; $20 without lunch. Adult cost varies from $3 for entry; $10 for entry + unlimited ride wristband.